The United Kingdom is home to more world champion boxers than any other country in the world, paving the way for some memorable fights in 2017. Anthony Joshua vs Wladimir Klitschko: Fight fans were first teased with news of a potential showdown between Joshua, the great British hope, andKlitschko, the heavyweight kingmaker, in October last year.The Ukrainian had been set to fight Tyson Fury for a second time, a rematch of their November 2015 showdown in which Fury emerged a shock winner to scoop the WBA Super, WBO and IBF titles. But, for the second time in a year, Fury was forced to pull out amid growing concerns over his physical and mental health. Joshuahad been set to step in as the natural replacement, with a potential fight rumoured before the end of 2016.However, injury and unfortunate timing intervened, ruling Klitschko out of action until 2017. Joshuawas forced to take a gimme fight in Eric Molina for December 10 at the Manchester Arena, comfortably defendinghisIBF belt with a third-round knockout.And after the fight,Klitschko joined the heavy-handed 2012 Olympic champion in the ring to finally announce the date of theireagerly-anticipated super fight.In excess of 90,000 people are anticipated at Wembley Stadium on April 29 to watch the two champions go head-to-head for the WBA and IBF straps. David Haye vs Tony Bellew:There isno love lost between TonyBellew and David Haye.Once sparring partners, the pair are now mortal enemies in a rivalry set to come to a head at London’s O2 Arena in March. Their long-running feud came to a head in October after Bellew’s dominant defence of his WBC cruiserweight title against Haye’s training partner BJ Flores. He got his wish a little over a month later, agreeing to step up to the heavyweight division to meet former cruiserweight world champion Haye in one of next year’s most anticipated fights. 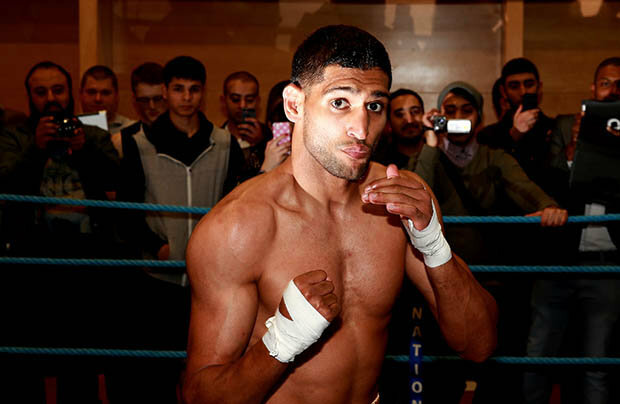 Amir Khan vs Kell BrookIt’s a fight that has been years in the making, with Sheffield-born Kell Brook calling Amir Khan out more than a handful of times – but in 2017, we really could see it happen.For the first time, 2004 Olympic silver medallist Khan appears to be keen to make the bout happen. The Bolton native recently posted a picture of himself alongside Gennady Golovkin on his Twitter account, alongside a provocative caption. “The 1st man to smash Kell Brook’s face @GGGBoxing, standing with him is the next guy to smash Kelly Brook’s face! #ReadyWhenYouAre” he wrote. Brook replied: “Glad you’ve woken up from your last KO, I believe our teams are talking I look forward to sending you back to sleep #QueenKardashian.”Earlier this month, Brook’s promoter Eddie Hearn confirmed the two welterweight rivals had begun tentative negotiationsregarding a venue – although the 37-year-old stressed there was a long way to go still.“I don’t wanna talk to much about it because we’ve been here before haven’t we,” Hearn told iFL TV. 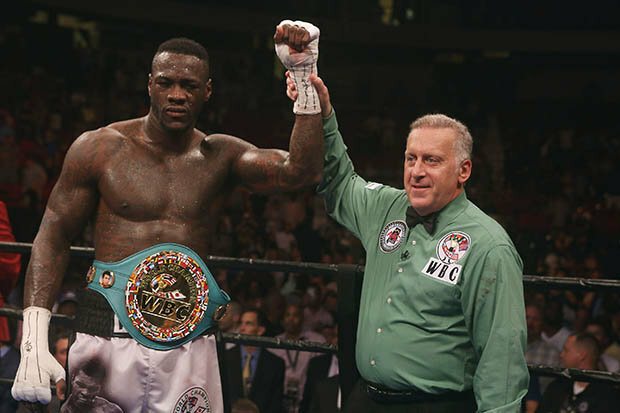 Wilder vs JoshuaDeontay Wilder divides opinion among boxing fans.Blessed with incredible athleticism, the American has sometimes struggled to match his physical capabilities with proficient technical boxing. In summer 2015, Texan Eric Molina took Wilder nine rounds – even landing a few power shots that had the Tennessee brawler in trouble in the second round. On December 10, Anthony Joshua demolished Molina inside three rounds in a fight so one-sided he barely even took a punch. But in Wilder, the former Olympic gold medallist could face a difficult test.With 36 knockout victories in his 37-fight unbeaten record, the WBC champion would prove a fascinating match-up for Joshua as he seeks to elevate into the elite in 2017.Conquering America is high on the Brit brawler’s to-do list, with a visit pencilled-in for January as promoter Eddie Hearn looks to grow his profile stateside. Manny Pacquiao vs Floyd Mayweather 2It was the richest fight in boxing history when it first happened in 2015 – but to many it was also one of the most disappointing.After an epic build-up to the $700m (£567m) super-fight, fans had been expecting an exhilarating return on their investment. 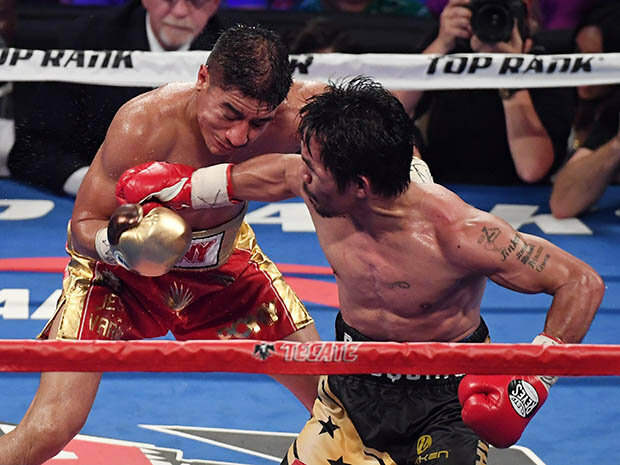 Instead, an unhealthy Pacquiao, reportedly nursing a shoulder injury, was comprehensively outboxed by a wily Mayweather in a technical display that proved difficult for the casual observer to enjoy. Following the fight, Pacman slowed down his activity in the ring – choosing to focus on his political duties in the Phillipines. But earlier this year, the 39-year-old made a stunning comeback,outclassing Jessie Vargas to reclaimhisWBO strap.And withMayweather ominously hovering one win short ofan historic 50-0all-time record, the rematch could be set to happen in 2017.Legendary promoter Bob Arum, who helps handle Pacquio’s business interests, claimed in November that the fight was “75% likely to happen” in 2017. David Haye vs Anthony JoshuaWith Tyson Fury on a self-imposed indefinite hiatus from the sport, David Haye vs Anthony Joshua is undoubtedly the most anticipated domestic heavyweight match-up of 2017.Haye, 36, is a former unified cruiserweight world champion who stepped up to the heavyweight division in 2009. He promptly became a world champion there too, dethroning 7ft Russian Nikolay Valuev for the WBA strap. 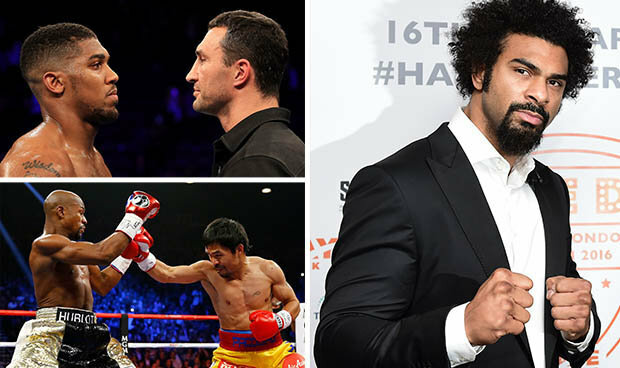 After taking a break from the sport in 2012, Haye returned earlier this year, dispatching of two low-profile opponents with ease before planting the seeds for a potential bout against Joshua in 2017. But Joshua fired back: “David Haye’s a good fighter. If I want to fight Haye, I’ll fight Haye.